This morning I was cruising around Pinterest *clear throat* I mean looking after my little ones. 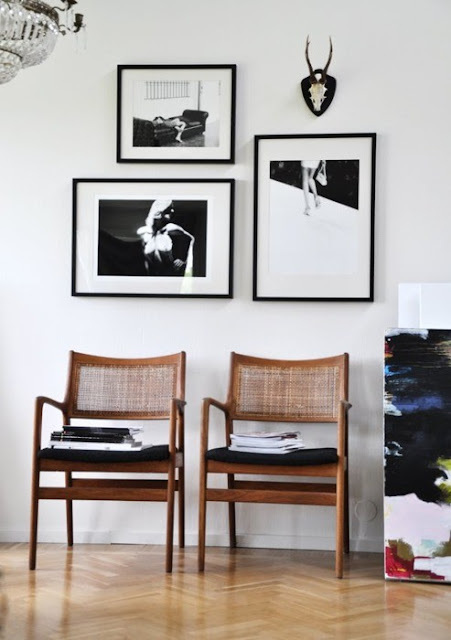 And I found these wonderful images for pure inspiration on wall spaces with monochrome. All lovely in their own way. Which style is most you? For more wall space inspiration you can check out my wall space moodboard on Pinterest (click on the Pinterest 'follow me' icon to the right of this page if you feel like it :) and then we can share ideas. Not a member? I'd be happy to invite you. Warning, it's addictive! Have a lovely afternoon! You have read this article Black and white home / wall hangings with the title Monochrome wall space inspiration. 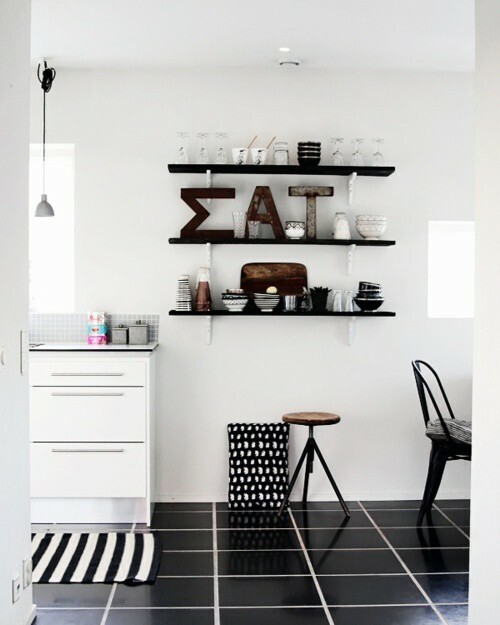 You can bookmark this page URL http://miasara-closet.blogspot.com/2011/12/monochrome-wall-space-inspiration.html. Thanks! No comment for "Monochrome wall space inspiration"